Bringing together field and industry, Copersucar is a global trader of sugar and ethanol, with integrated logistics throughout its entire business chain, operating excellence, and sustainable value creation. Seven billion people: each with their needs and desires that imply in a progressive increase in food and energy consumption, generating an increasingly higher pressure on resources that are far from being inexhaustible. Based on this, Copersucar, in line with the precepts set out by COP21, believes that industries based on renewable resources, such as ours, have an instrumental role in building a future where these needs can be sustainably addressed. If we in fact wish to contribute to sustaining life on the planet, we need to research and invest to allow for these scenarios where the so-called alternative energies receive the due importance. Ethanol is one of the answers to this challenge. A ready, competitive, available and effective answer. The points that should be highlighted in the sugarcane value chain are: the social, economic, and environmental gains enabled by the production and supply of food – including sugar, which plays an instrumental role in nutrition, when consumed in moderation – and clean energy, in the form of biofuels. In the long term, this is certainly one of the paths to ensure a better life for those living on this planet. Copersucar makes the connection between partner mills and clients, trading sugar and ethanol on a large scale, while conducting the logistics operation, capable of integrating all links of the value chain. This is one of the major differentiators of our business model, considered unique and difficult to be replicated. Its strategy for growth and business continuity is grounded on sustainability management. Copersucar continues to invest, with significant progress, in its triple-objective strategy: internationalization, growth and structural gains. Among the initiatives, Alvean can be highlighted, which has been accelerating global development and expansion of operations. More than an affiliate, the joint venture with Cargill is also a client. 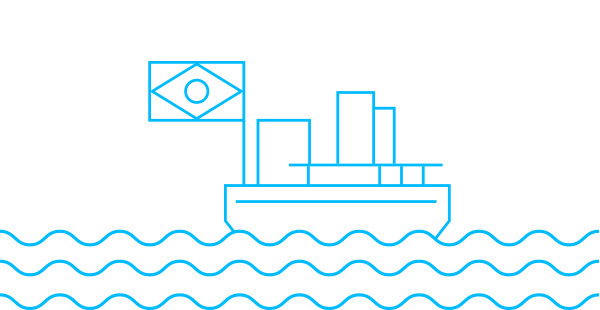 Today, Copersucar conducts all logistics for exporting sugar originated in Brazil, which is traded by Alvean. Copersucar also has controlling shareholding interest in Eco-Energy, the company responsible for approximately 16% of the ethanol market in the United States. By acquiring one of the main ethanol companies in the United States, in 2012, Copersucar became a global leader in the trading of biofuels. In terms of logistics, Copersucar’s strategy for sugar is supported by investments in multimodal terminals for storage and transportation of sugar in strategic points in the state of São Paulo, such as the ones in Ribeirão Preto and São José do Rio Preto, and in the Copersucar Sugar Terminal, at the Port of Santos, which has the capacity to handle 10 million tons of the product. For ethanol, the main asset is the Fuel Terminal, in Paulínia, also in the state of São Paulo, a joint venture integrated to one of main refineries in Brazil and to Logum’s ethanol pipeline. This structure gives Copersucar the largest sugar and ethanol storage capacity in Brazil. The company also invests in technology, such as the case of CTC – Sugarcane Technology Center, founded by Copersucar in 1969, and transformed into the world’s largest sugarcane biotechnology center, today operating as an independent company. Copersucar’s strategic position, enabled by these initiatives and partnerships, is a major ally in sustainable growth and competitive advantage to attract new markets and partners. Each of the company’s businesses is governed by the same corporate philosophy, which drives excellence throughout the entire value chain. Copersucar’s mission is to generate value through the vertical integration of the sugar and ethanol business chain. To be the leader in the global supply of sugar and ethanol, with a 30% share in domestic sugarcane production. Professionals differentiated by their business vision and competencies that drive value creation. We question the limits and challenge ourselves. We are entrepreneurs. We make things happen with ethics and seriousness. For us, a deal is a deal. We deliver on our word. We assume risks by taking into account short- and long-term impacts of our decisions and actions. We have a sense of urgency, but we deliberate before acting. We quickly respond to the needs of the market and clients, through flexible and efficient processes. We value meritocracy and high performance. We promote dialogue and learning. We invest in the development of people and recognize their ideas and contributions. We operate as a network. We work in an integrated and global manner. We share opinions, knowledge, and experience in our quest to develop businesses and people. In addition to having in place a business model that is considered unique in the sugar and ethanol industry, Copersucar structured a transparent corporate governance model that incorporates best market practices recommended by the Brazilian Institute of Corporate Governance (IBGC), as well as the Novo Mercado Corporate Governance Equity Index (IGC-NM) compiled by BM&FBOVESPA – a capitals market listing for trading of shares issued by companies that voluntarily commit to adopting corporate governance practices, in addition to those required by law. Copersucar believes that ethics is an indispensable value for the business environment and a fundamental condition for sustainable growth of the company and of its partners. This conduct requires a genuine commitment in order to balance the relationships maintained while performing our professional activities, at all levels. In order to guide its relationship with employees, clients, suppliers, and other stakeholders, Copersucar developed its Code of Conduct and Ethics in Business and maintains a permanent channel to receive reports of situations that represent violation of ethics. Any person can report situations considered unethical, both in internal and external relations. The information may be submitted either in Portuguese or in English. The person reporting may choose to identify him/herself, with total confidentiality, or opt for anonymity. Copersucar’s production chain starts in the 35 partner mills, belonging to 20 economic groups, and located throughout four states in the Brazilian Mid-South, the main sugarcane region: São Paulo, Minas Gerais, Paraná and Goiás. These mills are responsible for the raw material, sugarcane, and for the production, based on these inputs, of sugar and biofuels. Copersucar and its Partner Mills are autonomous companies that carry out their corporate policies independently. Eco-Energy, in the United States, is an end-to-end midstream alternative energy company centered on marketing, trading, transportation and distribution of biofuels around the world. Created in 1992, the company is among the leaders in this segment in North America. The combined operations of Copersucar and Eco-Energy form the largest biofuels platform in the world. Eco-Energy promotes innovative solutions and leverages value creation in the supply chain in the biofuels industry. Copersucar controls 100% of the company. A global leader in the sugar industry since its creation, in 2014, Alvean specializes in originating, marketing and trading raw and white sugar. A joint venture between Copersucar and Cargill, the company has offices in 10 countries and operations in every continent. Copersucar has a 50% interest in the company. The Sugarcane Technology Center (CTC) was created in 1969 as a research and development area for Copersucar’s sugarcane varieties. It is the world’s largest sugarcane biotechnology development center. In 2011, already operating as a private nonprofit institution, it was transformed into a corporation, with 154 shareholders, among the main players in the segment. Copersucar has a 16,93%% interest in the company and is its largest shareholder. Logum Logística S.A. is a partnership between Petrobras and corporate groups operating in the sugar and ethanol industry – among which, Copersucar – to develop an integrated system for distribution of ethanol through pipelines. Copersucar has a 24,72% interest in the company. Caixa Postal 4, CEP: 38200-000. Caixa Postal 16, CEP: 18220-000. Caixa Postal 91, CEP: CEP: 19700-000. Caixa Postal 173, CEP: 18702-310. Caixa Postal 127/128, CEP 13450-970. Caixa Postal 536, CEP: 14160-570. Caixa Postal 537, CEP 14174-000. Estrada Municipal Guilherme Scatena, s/nº, Zona Rural, Descalvado (SP), CEP: 13690-000. Rodovia Cezário José de Castilho, Fazenda Nova, s/n°, Zona Rural, Iacanga (SP), CEP: 17180-000. Rodovia SP-338, Km 287, s/n, Fazenda Santa Emília, Mococa (SP), CEP: 13730-971. Fazenda São Luiz da Esplanada, Buritizal (SP), Caixa Postal 2, CEP: 14570-000. Fazenda da Pedra, Serrana (SP), Caixa Postal 2, CEP: 14150-000. Rodovia General Euclides de Oliveira Figueiredo, Km 167, Nova Independência (SP), Caixa Postal 2, CEP: 16940-000. Estrada Vicinal Possidônio de Andrade Neto (Pitangueiras/Jaboticabal), Km 8, Fazenda Santa Rita, Pitangueiras (SP), Caixa Postal 11, CEP: 14750-000. Rodovia SP-326, Km 332, Jaboticabal (SP), CEP: 14870-970. Rodovia SP-310, Km 643, Pereira Barreto (SP), CEP: 15370-000. Fazenda Santa Maria da Mata, s/nº, Sud Mennucci (SP), CEP: 15360-000. Usina Santa Lúcia S.A., Zona Rural, Araras (SP), Caixa Postal 31, CEP: 13600-970. Rodovia Otavio Pillon, Km 3,5, Bairro São Francisco, Cerquilho (SP), Caixa Postal 19, CEP: 18520-000. Fazenda Três Pontes, Novo Horizonte (SP), CEP:14960-000. Fazenda Santa Maria, Ourinhos (SP), Caixa Postal 158, CEP 19900-970. Fazenda Boa Vista, São Manuel (SP), Caixa Postal 127, CEP 18650-000. Fazenda Uberaba, Rodovia Municipal 304, km 2,5, Entrada ng 190, Caixa Postal 402, CEP 38020-970. Fazenda Santa Amália, Castilho (SP), Caixa Postal 17, CEP: 16920-000. Fazenda Córrego das Pedras, Sertãozinho (SP), Caixa Postal 508, CEP: 14177-970. Fazenda Santa Cecília s/n°, Pitangueiras (SP), Caixa Postal 6, CEP: 14750-000. Fazenda Quatá, s/nº, Quatá (SP), Caixa Postal 21, CEP: 19780-000. Usina São José, s/nº, Macatuba (SP), Caixa Postal 25, CEP: 17290-000. Rodovia Marechal Rondon, Km 289, Lençóis Paulista (SP), Caixa Postal 356, CEP: 18680-900. Copersucar’s headquarter is located at one of main avenues in São Paulo, since 2007. A global leader in the sugar industry since its creation, in 2014, Alvean specializes in originating, marketing and trading raw and white sugar. With headquarters in Switzerland, the joint venture between Copersucar and Cargill, the company has offices in 10 countries, including Brazil, and operations in every continent. A global leader in the sugar industry since its creation, in 2014, Alvean specializes in originating, marketing and trading raw and white sugar. The joint venture between Copersucar and Cargill, the company has offices in 10 countries, including Brazil, and operations in every continent.em todos os continentes. Eco-Energy operates in trading and distribution of biofuels. Established in 1992, the company holds a leading position in this field in the US and has become a global leader by joining Copersucar in 2012. Headquartered in Franklin, Tennessee, the company has its own structure of 11 storage tanks, 11 transshipment terminals, four rail terminals and 19 exclusive production mills. 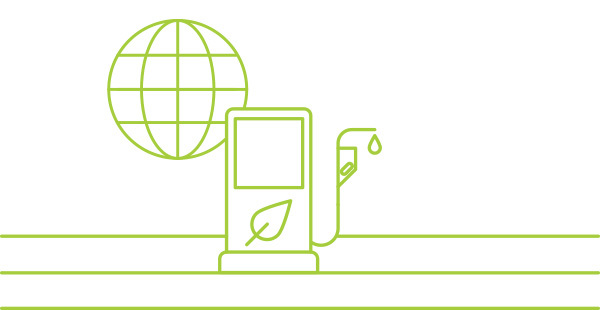 Logum Logística S.A. is a partnership between Petrobras and corporate groups operating in the sugar and ethanol industry – among which, Copersucar – to develop an integrated system for distribution of ethanol through pipelines. Ethanol is received through eight own terminals and transported through pipelines that connect the main producing regions in the country to the large fuel consumption centers. The Sugarcane Technology Center (CTC) was created in 1969 and is currently the world’s largest sugarcane biotechnology development center. Headquartered in Piracicaba (SP), it has a station for breeding varieties (hybridization) in Camamu (BA), and 12 regional centers to offer materials adapted to the different realities of Brazilian farmers. Global leader in trading sugar and ethanol. 18th largest company in Brazil, according to the Yearbook published by the journal Valor Econômico (Anuário Valor 1000 - 2017). One of the 10 best companies in Corporate Governance, according to the newspaper O Estado de S. Paulo (Estadão Empresas Mais - 2016). Largest and best company in the bioenergy segment in Brazil, according to the magazine Globo Rural (500 Largest and Best in Agribusiness - 2017). 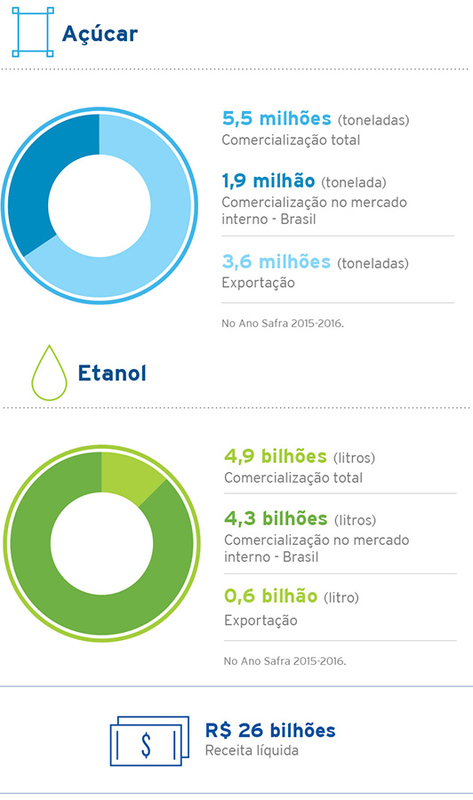 Largest sugar and ethanol storage capacity in Brazil. Operating directly or through participation, Copersucar S.A. is a global leader in sugar and ethanol. Copersucar is the largest Brazilian exporter of sugar, and further expanded its international scope through Alvean, whose main activity is the global trading of the commodity. In the 2017-2018 Crop-Year, 4.5 million tons were traded, of which 2.9 million were geared toward the foreign market. In turn, Alvean originated 7.9 million tons in Brazil to cater to international clients. Through the acquisition of Eco-Energy, Copersucar became the largest global platform for biofuels. Together, the two companies marketed, in the 2017-2019 Crop-Year, 14.1 billion liters of ethanol. Eco-Energy handled, in the period, 9.8 billion liters. Copersucar traded over 4.3 billion liters, of which 0.7 billion were exported. EXAME MELHORES & MAIORES – Copersucar receives the award as the best company in Agribusiness, is the 9th in net income and the 17th largest group in Brazil. ANUÁRIO VALOR 1000 – Copersucar is the largest company and second best in the sugar and ethanol industry and 18th largest company in Brazil. TOP COMPANIES – Copersucar is chosen the 3rd best company in the Wholesale and Distribution market in the award organized by newspaper O Estado de S. Paulo. AGRIBUSINESS YEARBOOK – Copersucar receives another award as the best company in bioenergy, granted by the Globo Rural magazine. THE BEST BY DINHEIRO RURAL – Copersucar receives the award as the best company in Sugar and Bioenergy. ANUÁRIO VALOR 1000 – Copersucar is the best and largest company in the sugar and ethanol industry and 18th largest company in Brazil. AGRIBUSINESS YEARBOOK – Copersucar receives another award as the best company in bioenergy and foreign trade, granted by the Globo Rural magazine. YEARBOOK ÉPOCA 360° – Copersucar is the first in Corporate Governance in the Agribusiness and 18th largest Brazilian company in net income. EXAME MELHORES & MAIORES – Copersucar is the 17th largest group in Brazil. TOP COMPANIES – Copersucar is chosen one of the “10 Leading Companies in Governance” in the award organized by newspaper O Estado de S. Paulo. MarCO Award – The Época Negócios magazine names Copersucar as “brand with the highest principles” in the agribusiness category. YEARBOOK VALOR 1000 – Copersucar is the largest company in the sugar and ethanol industry and 20th largest company in Brazil. PREMIUM SUPPLIERS – Copersucar is awarded the bronze medal for continuous search and perfection of quality granted by Coca-Cola FEMSA Brazil. AGRIBUSINESS YEARBOOK – is voted the best bioenergy company in the 11th edition of the Globo Rural magazine. YEARBOOK VALOR 1000 – Copersucar places second in the best companies ranking, and stands out as the largest company in the sugar and ethanol industry. SILVER SUPPLIER – Copersucar receives recognition for its work for Coca-Cola FEMSA Brasil. AGRIBUSINESS YEARBOOK – The company is once again voted the best company in the Bioenergy industry by the Globo Rural magazine. YEARBOOK VALOR 1000 – Copersucar is highlighted as the largest company in the sugar and ethanol industry for its economic-financial performance, based on a score obtained through eight accounting criteria. YEARBOOK VALOR 1000 – Copersucar is the 29th largest company in the country. AGRO-INDUSTRIAL LOGISTICS – The company is honored by the Research and Extension Group of ESAL Q-LOG, one of the most important higher schools of agriculture in Brazil, as the company that requested the largest number of projects in the 10 years of the group. GOLDEN SUPPLIER – Copersucar received recognition from Coca-Cola FEMSA Brasil for its work, in its main category. AGRIBUSINESS YEARBOOK – for the third year, Copersucar has won in the Sugar and Ethanol, and Foreign Trade categories, in the award promoted by the Globo Rural magazine. YEARBOOK VALOR 1000 – Copersucar ranks first in the Profitability and Asset Turnover in the Sugar and Ethanol industry. YEARBOOK ÉPOCA 360° – Copersucar is the largest company in the agribusiness industry, in the list published by the magazine. THE BEST OF DINHEIRO – the company is the only one in the sugar and ethanol industry to classify among the best in the agribusiness, in the yearbook published by the IstoÉ Dinheiro magazine. AGRIBUSINESS YEARBOOK – Copersucar is again the winner in two categories, in the award promoted by the Globo Rural magazine. AGRIBUSINESS YEARBOOK – Copersucar wins in the Sugar and Ethanol category, in the award promoted by the Globo Rural magazine. 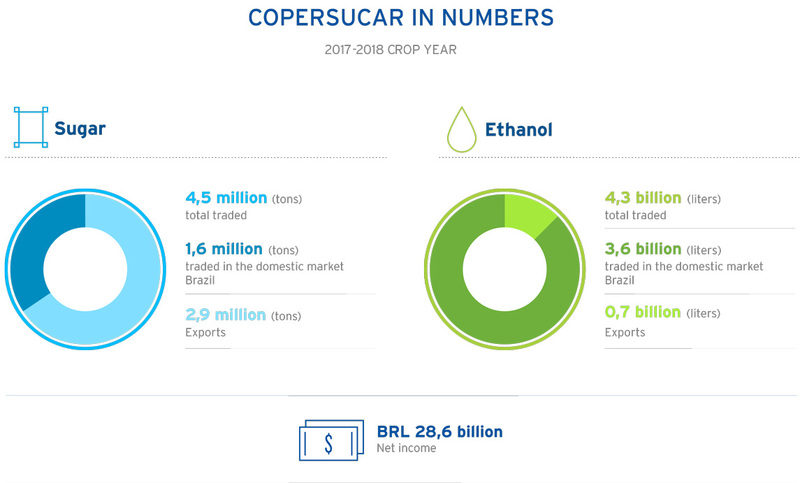 AGRIBUSINESS YEARBOOK – Copersucar has been the winner in the Sugar and Ethanol category since 2006, in the award promoted by the Globo Rural magazine. Copersucar and BP Biofuels created a 50/50 joint venture to own and operate the Terminal Copersucar de Etanol in Paulínia in the state of São Paulo. Copersucar assumes 100% control of Eco-Energy. Copersucar becomes a signatory of the open letter proposed by The World Economic Forum to establish a climate agreement to reduce Greenhouse Gas emissions (GHG) favoring growth and job creation. The Copersucar Sugar Terminal, at the Port of Santos, begins exporting with handling capacity of 10 million tons per year. Copersucar and Cargill formalized the creation of Alvean Sugar SL, a 50-50 joint venture between the two companies, specializing in global originating and trading of raw and white sugar. The Copersucar Ethanol Terminal (TCE) in the city of Paulínia (SP) with capacity for handling 2.3 billion liters of ethanol per year. Increase in global market share of ethanol through the creation of Copersucar North America, which has controlling interest of Eco-Energy Biofuels, a biofuels trading company in the United States, the largest global market for ethanol. Copersucar inaugurates the Multimodal Terminal in Ribeirão Preto (SP). Copersucar partners with other major corporate groups through Logum Logística S.A. to invest in logistics through pipelines. Obtains important certifications in sustainability: Bonsucro®. Beginning of operations of the Terminal in São José do Rio Preto (SP). The Cooperative of Sugarcane, Sugar, and Alcohol Producers in the State of São Paulo celebrates its 50th anniversary. On October 1st, Copersucar S.A. begins operating, thus giving rise to the largest company in the domestic market and one of the largest global exporters of sugar and ethanol. The company also begins originating products in other non-partner mills. Copersucar leaves the District of Mooca, east side of the city of São Paulo, and occupies three floors on the recently inaugurated Santa Catarina Building, designed by Ruy Ohtake, on Paulista Ave, in the downtown area. Copersucar focuses on its large-scale operations and disposes of Companhia União, Brazil’s market leader in the sugar retail sector. Transformation of the Sugarcane Technology Center (CTC) into an association. Inauguration of the Copersucar Sugar Terminal (TAC), at the Port of Santos (SP), in a strategic step to advance company exports. Copersucar intensifies exports after the opening of the market caused by the extinction of the regulatory agency of the sugar and ethanol industry, the Sugar and Ethanol Institute (IAA). Copersucar leaves the building on Boa Vista St. in the old downtown area, and shifts its headquarters to the União Plant on Borges Figueiredo St., in the District of Mooca, east side of São Paulo. Copersucar actively participates in the creation of the Pró-Álcool Program, which aimed to replace vehicle fossil fuels with ethanol. Copersucar sponsors the first Brazilian Formula One team: Copersucar Fittipaldi. The car competed in 104 GPs and helped consolidate the image of Brazil in this sport. Acquired Companhia União (sugar and coffee) and entered the retail sector. The Cooperative invests in research and development in the sugar and ethanol industry, creating the Copersucar Technology Center (CTC), which years later became the Sugarcane Technology Center. The Cooperative of Sugarcane, Sugar, and Alcohol Producers in the State of São Paulo, created in 1959, was initially called Central Cooperative. When it was founded, the cooperative had only 10 production units in São Paulo and two regional cooperatives: Coopira and Coopereste.